What to Expect From Apple Next WeekIncluding new AR tech and Apple’s attempts to get you to use your phone less. The Coolest New Features in iOS 11From Apple’s version of Venmo to passwordless Wi-Fi. The Android-ification of iOS Has BegunThe company seems to have more faith in its users and developers. A Black Woman Spoke at Apple’s Tech Conference and Twitter Went WildRepresentation matters. 10 Things From Today’s Apple Announcements That Will Actually Affect YouThe stuff you’re going to want to know. 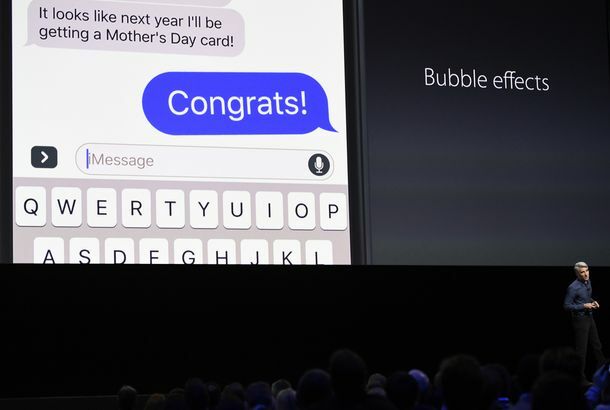 The 7 New Features That Are About to Radically Change iPhone MessagesEmoji! Video! Invisible ink! Apple Just Made a Ton of Huge Changes to Its Messages AppBig Emoji. Predictive Emoji. Handwritten messages.